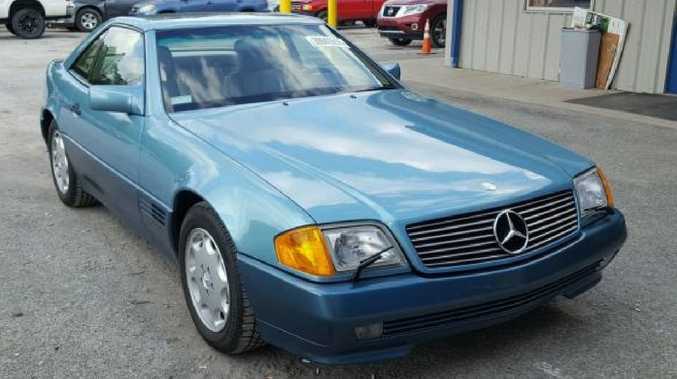 A MERCEDES-BENZ that was stolen in 1991 and has covered just 1909km in 27 years will today go to auction in Pennsylvania in the United States with hopes of setting a record price. According to the report from auctioneer Copart, the SL500 sports car was stolen from the dealership floor in 1991 and not recovered until late 2018. The metallic teal convertible has a 5.0-litre V8 engine with only 1186 miles on its odometer, or 1909km. A quick calculation shows it has been driven on average 194 metres each day since it left the production line in Stuttgart in October, 1991. During most of the 27 years it was classified as a stolen car it "was found that the vehicle had been stored indoors the entire time and only was driven 1186 miles". While pictures suggest it is clean and in excellent condition, it is listed as having a minor dent and scratches. The auctioneer says it "has a key, runs and drives and is being sold on a clean title". The Mercedes-Benz SL500 was an innovative car in its day, with a pop-up rollover bar to protect occupants in a crash and a sleek shape. However, it's comprehensively outclassed by even basic city cars today; in 1991 the SL500's most hi-tech features included a single airbag, cruise control and anti-lock brakes. At the time of writing the top bid for the online auction was at US$25,500 ($36,000), which is about double its estimated value in the US. The online auction is due to finish this morning. While the car has barely been driven, there is one similar vehicle that has been driven less. 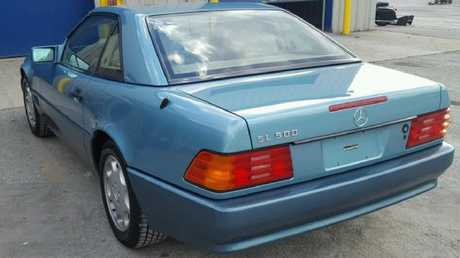 In 2017 a 1996 version of the same Mercedes-Benz SL was auctioned with just 81 miles on the odo. 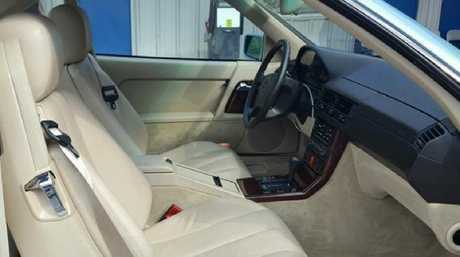 Its wealthy owner received the car as a birthday present in 1996 before promptly losing the keys. It was locked in a central London garage for years before the keys were finally discovered and the car sent for sale. The car sold at auction for 56,640 euros ($91,000).